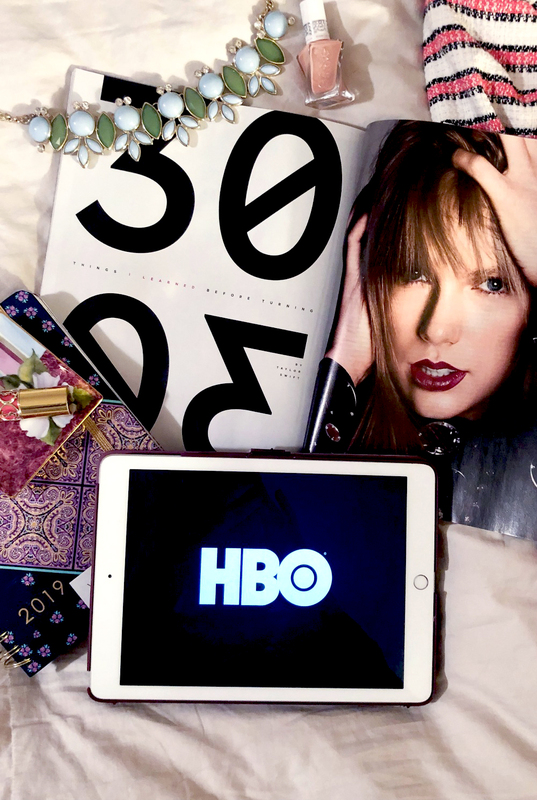 From a fascinating memoir to documentaries on HBO, I’m taking a look back and sharing everything I read and watched in March 2019. As you may know, I kicked off this series in January to keep track of everything I read and watched in a month throughout the year. I’m so nosy and always want to know what everyone else is reading – so I thought it would be fun to share what I get up to. Additionally, I really do want to look back at these posts at the end of the year and pull together some sort of a “Best of the Year” post around it. But – hello, it’s April and I’m getting a bit ahead of myself. Viewing wise, it was a very HBO heavy month. This I was quite happy with because I feel like I haven’t been getting as much use as a should out of my subscription lately. Over on HBO, it definitely was a major documentary month with the release of two highly-buzzed docs: Leaving Neverland on sexual abuse allegations against Michael Jackson and The Inventor: Out for Blood in Silicon Valley. The later is a rather fascinating look at blood testing fraud. J.D. Vance is a former marine and Yale Law School graduate who shares a powerful account of growing up poor in the Rust Belt. Through his family store, he provides quite an interesting analysis of the struggles facing the white working-class in America. In the memoir, Vance talks about his family moved from Kentucky to Ohio during the “great migration” in hopes of escaping poverty. Even after their move and climbing to middle-class status, though – his family members were never truly able to escape the abuse, poverty and alcoholism that was so prominent and stigmatized in their background. Essentially, the memoir doesn’t just detail the story of one man and his family – but the overall loss of the American dream for a large part of our society. This book was recommended to me by my grandmother in her friend while discussing our love of Educated last month in Florida. They predicted I would love this two and they were not wrong. It was actually a particularly fascinating read for me as I’m from Cincinnati which is not too far away from the Middletown area largely discussed in the book. As Vance says, Middletown is plopped smack dab between Dayton and Cincinnati so when driving up I-75 North you can’t miss it. There was a lot in Hillbilly Elegy that felt like a heart-sinking confrontation with reality. The memoir definitely brings to light issues that I think most know and feel in some capacity exist but don’t want to confront head on. Given the turmoil our country finds itself in, though, it’s an important and captivating read. Vance writes in a way that doesn’t help you just walk a mile in someone else’s shoes – but feel like you actually live there yourself. If you’re at all a fan of memoirs or want to gain perspective on the way class still plays a role in modern society – I highly recommend! Elle‘s editor-in-chief Nina Garcia invited Taylor Swift to publish an unedited essay in preparation for her thirtieth birthday. In it, Taylor details thirty things she’s come to learn over her (almost) thirty years. Some you probably would expect, others not so much. Click here to read the article for yourself to see what she had to say. It might seem weird to even include an article like this in my March recap but given how little reading I did in March, here we go. I actually let my subscription to Elle lapse because I just wasn’t feeling their content anymore but picked this up at the airport for my flight home. Personally I like some of Taylor’s music, but am by no means a die-hard fan. Over the years she’s definitely done things that have irked me, but it was interesting getting insight into her world. Maybe lesson thirty-one for Taylor could be learning when to move on from a subject? Just a thought. Leaving (not finding) Neverland is a two-part four-hour documentary directed by Dan Reed. The doc-series focuses on two men who had close relationships with Michael Jackson through their childhood and into adulthood. In the first part, Wade Robson and James Safechuck walk closely through the timeline of their relationship with Michael and how their friendship and admiration for him evolved into sexual relationships. As young children who intensely loved and looked up to MJ, they didn’t see their encounters as abuse but definitely kept the relationships private from their families at Michael’s request. Part Two addresses the very public Michael Jackson trial where he was cleared of all charges of sexual relations with minors. At the time, Wade Robson even testified on Michael’s behalf as a witness for the defense. For this reason, many discredit his claims when he later came forward and announced that he was sexually abused by Michael Jackson on the Today show. In Leaving Neverland, Dan Reed examines the nature of childhood sexual abuse and how children are seduced in a way that doesn’t even really feel like abuse until when it later manifests in adulthood. It wasn’t till James and Wade married their wives and became fathers on their own that they really started to confront the reality of their relationship with Michael Jackson. From there, their raw stories open a larger discussion on the aftermath of childhood abuse. The most shocking part of Leaving Neverland for me was the realization that people to this day defend Michael Jackson against being a child abuser. I honestly went into this documentary thinking that the general population agreed Michael had inappropriate relationships with children. When I came across all the backlash the documentary was receiving from his devoted fans across the internet – it was quite surprising to me but also kind of sad. It greatly reminded me of how far folks would go to defend R.Kelly – that is until only recently in the wake of Lifetime’s series on his abuse. In Michael’s case? The adamant defense and unwillingness of die-hard fans to open their ears and actually hear what Wade Robson and James Safechuck are saying feels worse. Abuse allegations aside, there were too many red flags along the way while Michael was alive to ignore. The inability to accept he was troubled is a very sad reflection on fandom in my view. We shouldn’t idolize ourselves into blindness. Personally, I love Michael Jackson’s music and I have all along. But I have accepted that he was a very talented individual with a damaged soul. No, I don’t think he was malicious. I also don’t think he consciously understood his actions either. The trajectory of his life and career clearly took a toll on his psyche. It’s a very devastating situation and my heart goes out to his family. No matter what side you’re on, though, I really do urge you to see Leaving Neverland…or at least the second half. Yes, Michael Jackson obviously plays a role in these stories, but the documentary itself really isn’t about Michael at all. Detailing the story of these two families over decades, Dan Reed investigates the delayed affect of abuse in a way I don’t think has been openly discussed before. It’s a powerful, important watch and one I highly recommend! Elizabeth Holmes is the world’s youngest self-made billionaire who was heralded by many as the next Steve Jobs. She founded a company named “Theranos” that she hoped would revolutionize the healthcare industry by changing the system of blood testing. Holmes claimed through one drop of blood her new technology would be able to run a battery of tests at the request of the patient for much lower cost and without the need for doctor’s orders. She recruited millions and millions of dollars in investments and even launched a partnership with Walgreens before it all came crumbling down. The Inventor explores the truth behind what was essentially one giant scam that largely white, male investors bought into. Watching this I kept thinking to myself: this never would’ve happened if Elizabeth Holmes were a male. But instead, Elizabeth is an attractive blonde female who basically swindled men out of a lot of money. It was actually mind boggling how willingly investors handed over large sums of money to her without any evidence that the science or new technology were even feasible. Elizabeth’s been on the cover of just about every major professional magazine you can think of, was chummy with political leaders like the Obama Administration and former Secretary of State George P. Shultz and darn brilliant at seducing people into believing in her idea without a single shred of proof. It was just CRAZY to me…but also incredibly fascinating. As someone who doesn’t have large sums of money just hanging out in my bank account, it was actually shocking how little it took for Elizabeth to raise investments. It was like watching the Fyre Festival documentary all over again – but even worse as this was talking about potentially life changing science in the health industry. One would think that would come with a little more fact checking along the way but apparently not. Oy! Definitely recommend watching this one as well. Heading into its final season, Veep is a 30-minute comedy that follows Selina Meyer (Julia Louis Dreyfus) from being the first female Vice President of the United States to the first female partial-term President of the United States. Six seasons and countless Emmy awards later, the show has returned for its final season that will follow Selina on another presidential run. My guess? She’s going to win this time. Without question, I love this show. For whatever reason, though, I never got around to watching season six…that is until last weekend when I watched it all basically in one sitting. Still wanting more, I also doubled back and rewatched season 1 just for kicks and giggles. I really forever love Veep and forever feel like Anna Chlumsky deserves way more praise for her iconic work as Amy. Last but not least is the one thing I watched that wasn’t on HBO this month. Hey, hey! In February’s recap I shared about reading the books this spin-off is based on while on vacay in Florida. I found the books quite enjoyable so it was no surprise that I tuned into the new show on opening night. The picture above I actually snapped that day in Times Square on my way to see Wicked and you better believe I made it back to my sister’s in time to watch at 8 o’clock. Having seen Pretty Little Liars, I kind of knew the atmosphere of the show we were getting into. The books, though, exist in a world without Ali or Mona so I was curious how the TV show would marry the two universes. So far, The Perfectionists has been good but not quite as gripping as I would have liked. 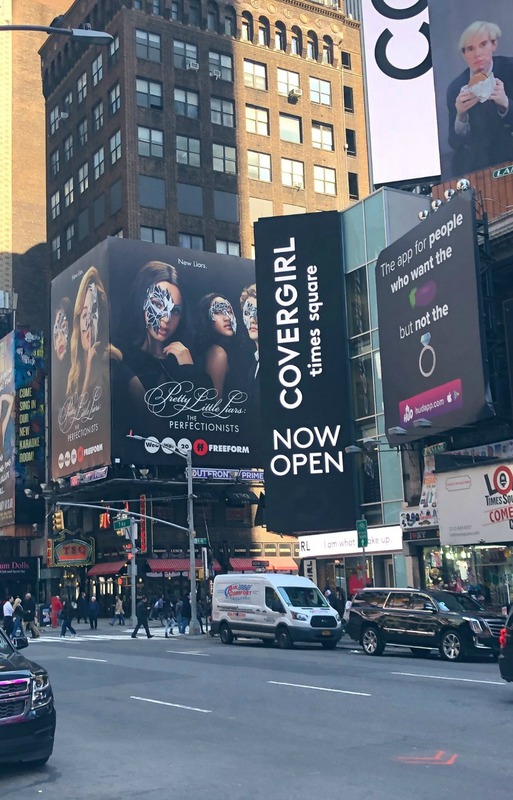 But it definitely has that fun, mystery element that made PLL so popular. Not to mention: secrets. LOTS of secrets. (And murder, of course.) Given how much I think I need a silly but fun show in my lineup, I’m going to keep tuning in. What did you read or watch in March?